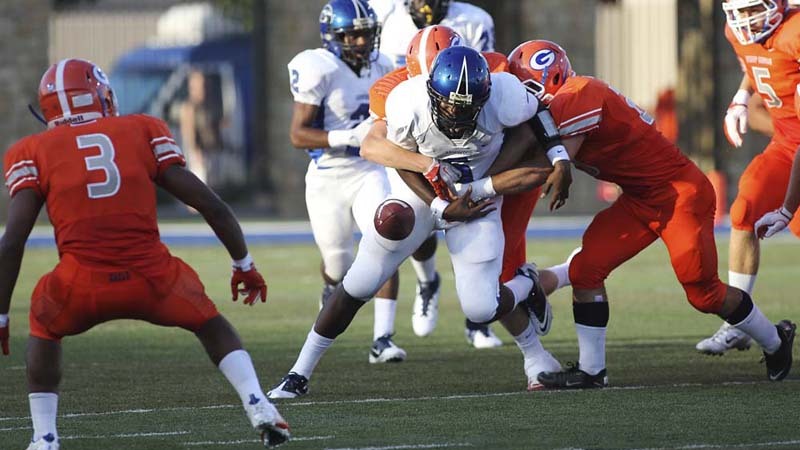 JASON BEAN/REVIEW-JOURNAL Bishop Gorman's defense forces Armwood High School's quarterback Darryl Richardson to fumble during a Nationally televised football game at Fertita Field in Las Vegas on Aug. 26, 2011. 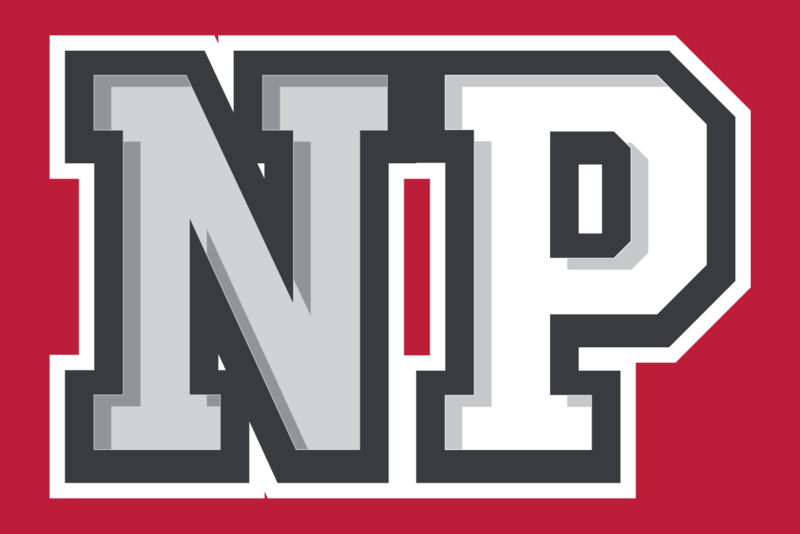 Richardson recovered his fumble on the play. 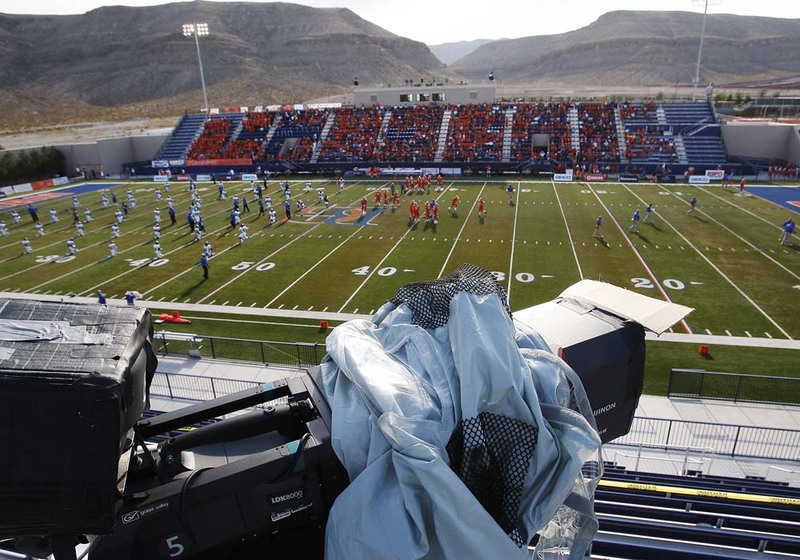 JASON BEAN/REVIEW-JOURNAL Bishop Gorman prepares to take on Armwood High School during a ESPN televised football game at Fertitta Field in Las Vegas on Aug. 26, 2011. 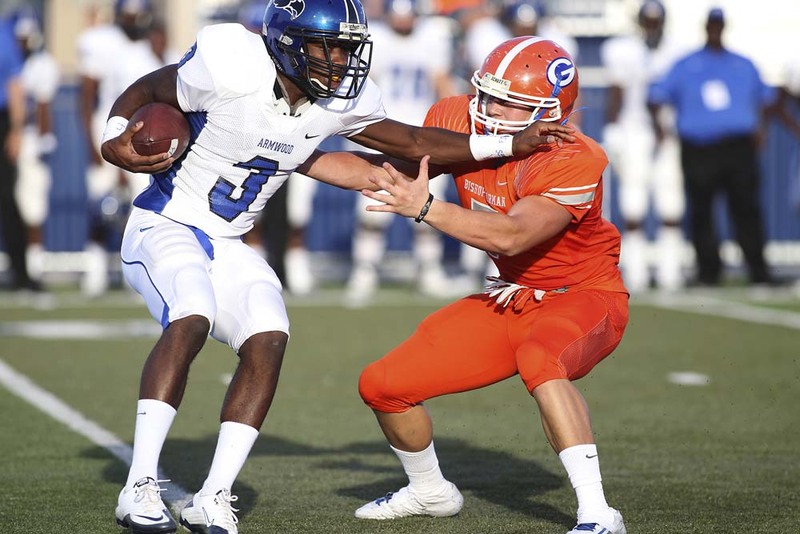 JASON BEAN/REVIEW-JOURNAL Bishop Gorman's Marc Philippi tries to tackle Armwood High School's Alvin Bailey during a Nationally televised football game at Fertita Field in Las Vegas on Aug. 26, 2011. 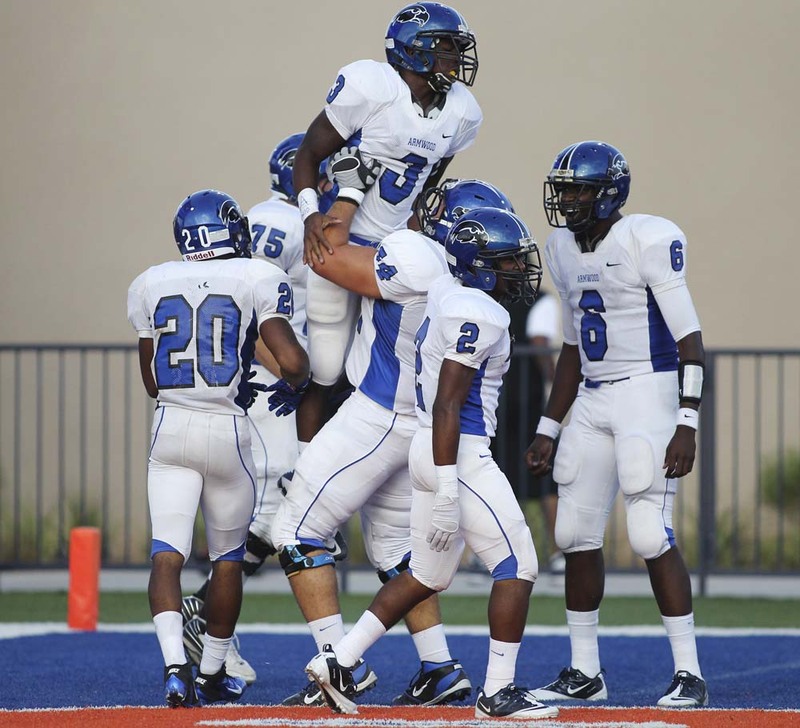 JASON BEAN/REVIEW-JOURNAL Armwood High School's Alvin Bailey gets lifted up by his teammates after scoring the game's first touchdown against Bishop Gorman during a Nationally televised football game at Fertita Field in Las Vegas on Aug. 26, 2011. 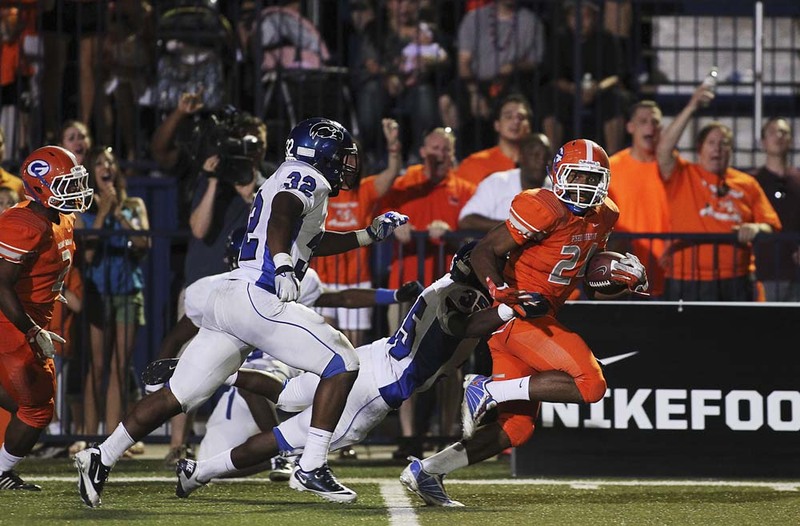 JASON BEAN/REVIEW-JOURNAL Bishop Gorman's Justin Sweet blocks a critical extra point by Armwood High School's Nick Feely during the second half of their Nationally televised football game at Fertita Field in Las Vegas on Aug. 26, 2011. 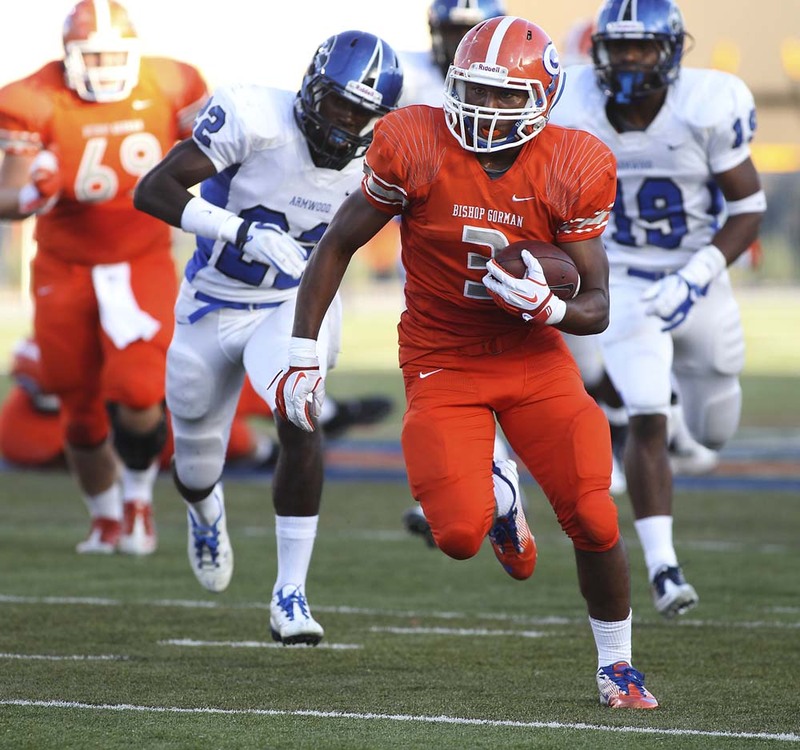 JASON BEAN/REVIEW-JOURNAL Bishop Gorman's Nathan Starks tries to break free from Armwood High School's defense during a Nationally televised football game at Fertita Field in Las Vegas on Aug. 26, 2011. 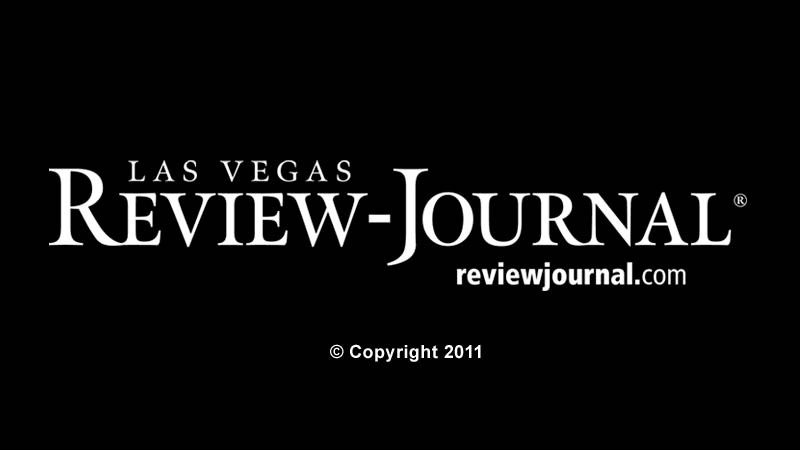 JASON BEAN/REVIEW-JOURNAL The Bishop Gorman faithful cheer on their team against Armwood High School during a Nationally televised football game at Fertita Field in Las Vegas on Aug. 26, 2011. 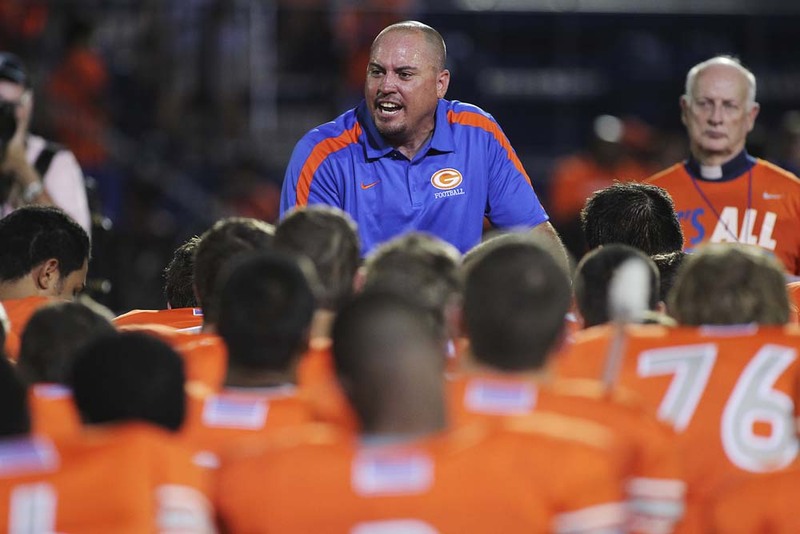 JASON BEAN/REVIEW-JOURNAL Bishop Gorman head coach Tony Sanchez praises his team after a hard fought loss against Armwood High School during a Nationally televised football game at Fertita Field in Las Vegas on Aug. 26, 2011. 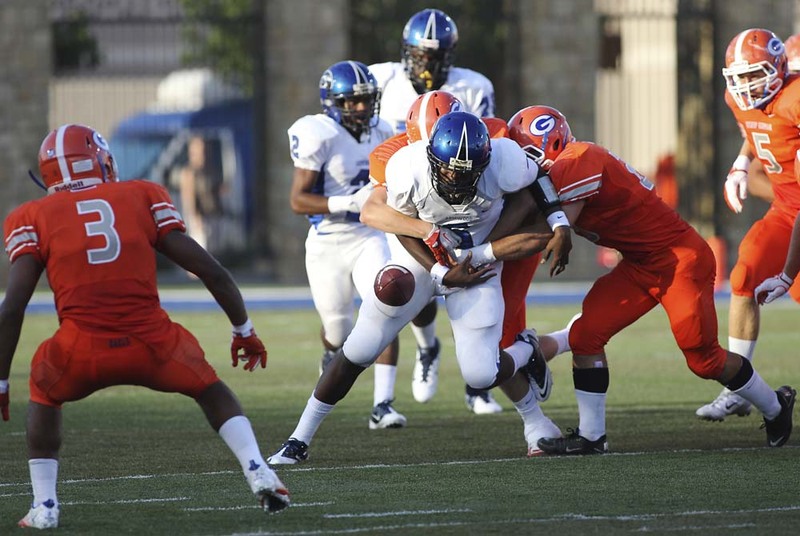 Photos from Bishop Gorman vs. Armwood (Fla.) in a battle of nationally ranked prep football teams. 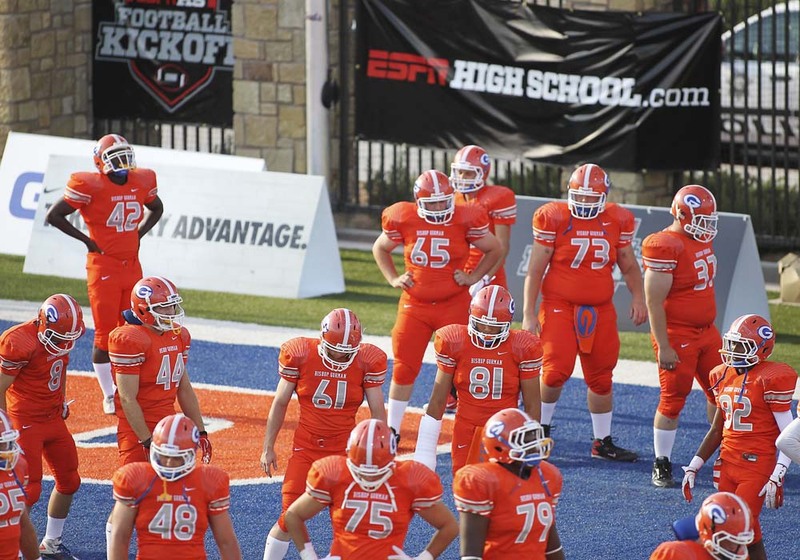 Bishop Gorman mounted a late challenge but fell, 20-17, to the higher-ranked team.